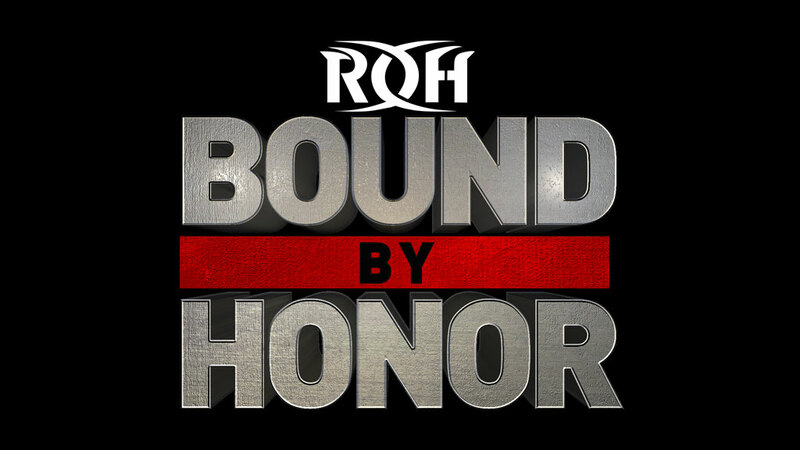 Sunday night at Watsco Center in Miami, ROH World Champion Jay Lethal, RUSH and Jonathan Gresham took on The Kingdom; PCO and Mark Briscoe engaged in a wild brawl; Women of Honor World Champion Kelly Klein put her title on the line against Stardom ace Mayu Iwatani; ROH World Television Jeff Cobb faced challenger Rocky Romero -- and more! Before the match began, Titus insulted Briscoe’s physical condition and said that he was going to make him the first member of the Flex Express. Titus wanted to apply baby oil to Briscoe. That ticked off Briscoe, who began assaulting Titus both inside the ring and around ringside. Titus survived the onslaught and did a dive onto Briscoe on the floor. Titus hit a Rocker Dropper for a near fall. After Titus scored a few more near falls, Briscoe hit a Rude Awakening. He followed with the Jay Driller for the win. Castle and The Boys took control early, thanks in large part to The Boys working well in tandem. Eventually, Isom was tagged in and he ran wild on both Boys and Castle. Castle halted Isom’s momentum, but one of the Boys blind-tagged himself in. That annoyed Castle, who demanded he be tagged back in. Isom knocked both Boys off the apron and followed with a brainbuster on Castle to pin the former ROH World Champion. Cabana’s antics threw Sabre off his game throughout the match. The always-entertaining Cabana reminded everyone just how good of a wrestler he is, as he went hold-for-hold with perhaps the best technical wrestler in the sport in Sabre. Every time Sabre appeared to have momentum, Cabana quickly regained the advantage. Cabana applied Billy Goat’s Curse, but Sabre made it to the ropes. A series of pinning combinations and reversals followed. Eventually, Sabre trapped Cabana in a Kimura lock, and Cabana tapped out. Mack seized the advantage after hitting a crossbody off the top rope onto his three opponents and then landing a flip dive over the top rope to the floor on them. Later, King hit a spinebuster on Young, but Mack made the save. King landed a blockbuster on Mack, but Young made the save. Scurll applied the chicken wing to Young, but King brought a chair into the ring. That distracted the referee, who did not see Young tapping. King hit a low blow on Scurll behind the referee’s back and then rolled him up and grabbed a handful of tights for the win. Romero earned this title shot by winning a three-way Proving Ground Match at Road to G1 Supercard: Houston on Jan. 25. Romero’s offense didn’t phase Cobb early in the match, but he eventually gained the advantage after shoving Cobb into the ring post and then connecting with a knee to the head off the apron. Cobb came back with a standing moonsault for a near fall, but Romero answered with a series of running forearms and modified Sliced Bread for a near fall. Romero then hit a hurricanrana and came within an eyelash of holding Cobb down for a three count. Cobb rallied, throwing Romero into the turnbuckles and following with an overhead belly to belly suplex and a German suplex. Cobb finished off Romero with Tour of the Islands. Klein used her significant size and strength advantage to take control of the match. The champion punished Iwatani with knee strikes to the head and then tossed her into the barricade twice. Iwatani rallied, knocking Klein out of the ring and then hitting crossbody off the top rope to the floor. Amazingly, Klein popped up and hit a German suplex on the floor. After several more minutes of hard-hitting, back-and-forth action, Iwatani hit two Dragon suplexes followed by a kick to the head for a near fall. Then she hit a Shining Wizard and a moonsault for another near fall. Iwatani executed a second moonsault, and that one kept Klein down for the three count. The crowd erupted. Iwatani became the third WOH World Champion, ending Klein’s reign at 58 days. After several minutes of furious action, Bruiser hit a Death Valley Driver on Haskins on the apron. Bandido came off the top rope and landed a DDT on Milonas. LSG hit a 450 splash on Bandido, but Robinson and Williams broke up the pin. Bruiser came off the top rope for a crossbody, but in an amazing display of strength, the much smaller Bandido caught Bruiser and slammed him. Bandido hit the West Knee on LSG and followed up with 21 Plex on him for the victory. After the match, all eight men -- and Dashwood -- participated in a Toast of Honor. This figured to be a wild one, and it didn’t disappoint. Briscoe connected on a blockbuster off the apron to the floor. PCO came back with a diving senton through the middle rope to the floor. PCO chokeslammed Briscoe on the apron, but he missed a cannonball off the top rope and landed hard on the apron and fell to the floor. The fight spilled out of the ring and up onto the stage. Briscoe power-bombed PCO on the stage and then kicked him down the stairs. Briscoe nailed PCO with two chair shots to the head and then hit Froggy Bow for a near fall. The seemingly inhuman PCO answered with a moonsault for the win. 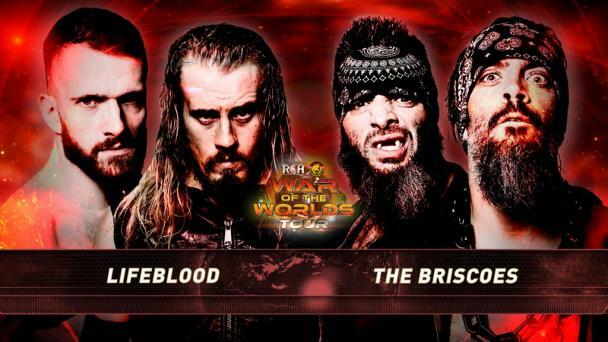 These two will meet again when Mark and Jay Briscoe put their ROH World Tag Team Titles on the line against PCO and Brody King at ROH 17th Anniversary on March 15. It didn’t take long for bitter rivals Lethal and Taven to start brawling with each other on the floor, and eventually all six men were doing so. RUSH hit a somersault plancha onto everyone. As the fight continued outside the ring, Marseglia DDT’d RUSH onto a chair. After several more minutes of chaotic, back-and-forth action, it eventually came down to Lethal and Taven. Lethal went for Lethal Injection, but Taven countered it and hit Climax to pin the ROH World Champion and win the match for The Kingdom. After the match, Kenny King came out and berated Lethal, calling him a “pathetic loser.” King also bragged about beating Marty Scurll earlier. That brought out Scurll, who attacked King. O’Ryan and Marseglia jumped on Scurll. Lethal and Taven started brawling again. Silas Young came out and joined in on the brawl. Then PCO did the same. Before long, everyone in the locker room came out and a melee ensued. After the ring cleared, Bully Ray entered the ring and bullied referee Todd Sinclair. 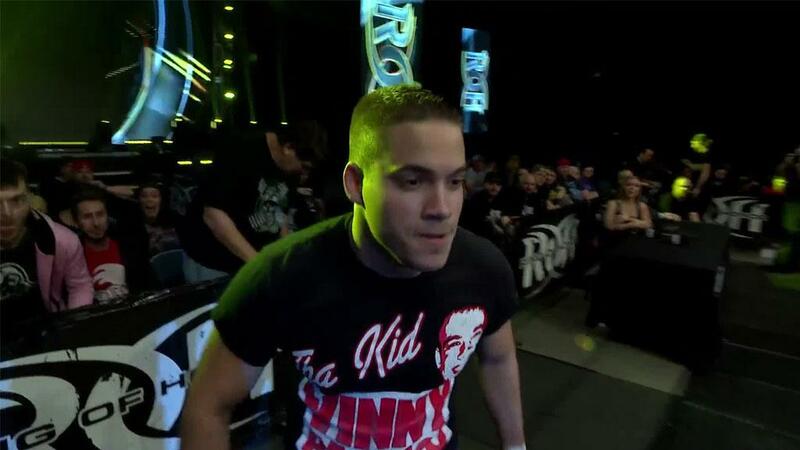 Bully still blames Sinclair for his loss to Flip Gordon in an I Quit Match at Final Battle. PCO stepped in, and he and Bully engaged in a slugfest. Bully retreated. PCO then hit a moonsault that took out everyone on the floor.